Happy Hannukah everyone! I know I said I wouldn’t be here until 2017, but this story just came in from one of Jewish Latin Princess’ readers: a Hannukah Wednesday Wink and it’s pretty awesome, so I had to share. If you’re new to Jewish Latin Princess, Wednesday Wink is JewishLatinPrincess’ series on Hashgacha Pratit (Divine Providence). This is a space to share either your stories or my own stories of Hashgacha Pratit (Divine Providence) as they help us be more aware of G-d’s involvement in every detail of our lives. 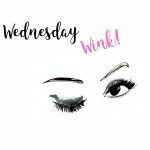 You can find all past Wednesday Winks in the Soul Talk section of the blog. Enjoy Yehudeet’s beautiful story! Hi, my name is Yehudeet and I’m the grand-daughter-in-law of Shirley Kanofsky (a.k.a. Safta), who’s soul returned to her Creator on July, 2014. Before I tell you my wink from Safta, let me tell you about her. Safta was one of a kind. Her energy and zest for life was something that always showed through when you were around her. The excitement she showed when she was around the people she loved was physically visible. It was as if she couldn’t stop dancing and she’d often break out into song. She had extreme respect for humanity. This was exhibited by her great attention to detail. Whether it was the way she prepared her fruits and vegetables, or if there was a way to avoid any potential harm or hazard, she’d take it. She also loved to be helpful and would jump at the opportunity to bring a little joy into someone’s life. Whether it was finding a misplaced stuffed animal or even just by sending a couple of stamps because she felt they would come in handy. BUT the best example of this respect was that after just meeting her you felt like you had just become another daughter, sister or granddaughter to her. Safta was a role model in her daily life in practice, deed, and belief. She created a positive environment for all of us who knew her to nurture our character traits and better ourselves spiritually and mentally. She cared deeply for us and always acted a mentsch. Safta worked hard her whole life for her family and community – teaching Torah and good deeds to children, as well as being a teacher by good example in her personal life. She really was the matriarch of my husband’s family. Her faith and trust in Hashem never wavered. It refined her and all those around her. Towards the end of 2010 Safta wanted to pay us a visit here in Houston, but was diagnosed with pancreatic cancer shortly thereafter. She thought twice about coming down from New York, but after some encouragement from my husband and her doctors she agreed to fly down. The doctors “gave her” a couple of months to live but being who she was, she fought her condition with happiness and gratitude to Hashem for all the blessings He bestowed upon her. To the doctors surprise, this attitude carried her for several years until she returned her soul to Hashem on June 12, 2014. To say that we missed her was short of an understatement. The cheerfulness that she exhibited over the phone, and the love she showed us via her letters and phone conversations, were sorely missed. Every holiday that passed, every birthday, every simcha that passed, she was no longer there to receive or relay good wishes. Now, before I tell you what transpired after Safta’s passing, I must clue you in on my relationship with my sister and my scrap booking machine…. My mother gifted me the machine and every so often my sister has craft project that pops up and asks to borrow it. This machine is becoming a little bit of a pain because of where I store it. It is stored in my coat closet at the bottom of a shelf – in a very crowded part of the closet. It is a pain to take out, and a pain to put back. So when my sister asks to borrow it, it takes a little encouragement for me to take everything out of the closet, take out the machine, and put everything back. On the second day of Hannukah 2015, amidst all the chaos of Hannukah celebrations, (a year and a half after Safta’s passing) my sister asked to borrow the machine. “Seriously”, I thought to myself, a bit annoyed. I fought my yetzer hara (selfish drive) and took out all the stuff from this closet to take out this machine. Imagine my shock when out of the closet pops this Hannukah card from none other than Safta! We were all so happy. A great reminder that Safta is always with us, blessing us and infusing us with there love and joy! Thank you for sharing this inspiring story Yehudeet! I want to be like Safta, with a zest of life that is contagious. Don’t you all? Have you ever felt a “wink from above”? Please share it either in the comments or email me with your story. We can publish it anonymously, if you’d like. 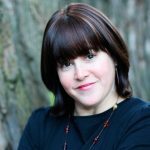 I look forward to hearing from you and sharing your “winks from above” here at JewishLatinPrincess.